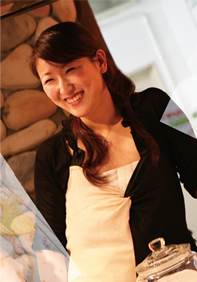 Began studying cooking while at Aoyama Gakuin University in Tokyo. The most famous culinary school with histry in the world. completed the Grand Diplome course which is the skill training course of French culinary arts and pastries. Then went to Firenze , Italy to study food of Tuscany. Also; Developing menus in the U.S.
Loving travelling and studying any kind of nice food all around the world.